Earlier in the day, Maharashtra Youth Congress has raised objection over the film and has also demanded prior screening of the film. 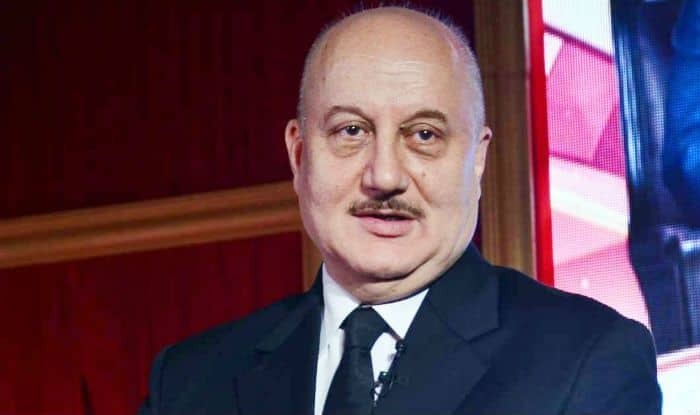 New Delhi: Reacting sharply to the ongoing controversy surrounding his forthcoming film ‘The Accidental Prime Minister’, veteran Bollywood actor Anupam Kher on Friday said that such ‘goondagardi‘ (hooliganiosm) will not be tolerated. Notably, his comments comes after Madhya Pradesh government and Maharashtra Youth Congress demanded prior screening of the film, which is based on the book of Sanjay Baru, who served as former PM Manmohan Singh’s media advisor from 2004 to 2008. “Let Congress say whatever they want to… Rahul Gandhi recently tweeted on freedom of expression, so maybe he should reprimand his leaders. Such ‘goondagardi‘ will not be tolerated,”said Kher. He also added that the film is based on facts as chronicled in the book. “If we make a film on the issue of Jallianwala Bagh or any historic incident, we cant’t change the history or facts,” the Bollywood actor stated, adding,”More they protest, more publicity they will give to the film. The book has been out since 2014, no protests were held since then, so the film is based on that. “If the said movie is released without prior screening for our office bearers and without making necessary changes recommended by us that we find out after viewing the movie it will be understood that you are doing this deliberately and we have other options open to stop the screening of the same across India,” the Congress unit reportedly said in its letter.